Becoming an organic certifying agent is a worthwhile choice if you're looking for an interesting and useful organic career. Before you start on the path to becoming an agent, you should look into what it is organic certifying agents do and decide if you have the skills needed to become an agent and consider if it's the right sort of job for you. 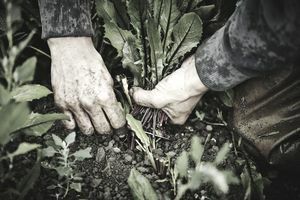 The National Organic Program (NOP) accredits certifying agents under the authority of the Organic Foods Production Act of 1990, and once you decide that you'd like to become an organic certifying agent, the process is fairly straightforward. Note too that you may apply regardless of how many certifications are issued by you. Eligibility also is not dependent upon membership in any association. To become a NOP-accredited certifying agent, you must first complete and submit two forms to the USDA. The total application package must be submitted in English. You'll need to submit one hard copy and one identical electronic copy. Application forms include a USDA Grading and Verification Division Form (PDF) and a USDA National Organic Program Form. Your application will include basic information such as your business name, primary office location, mailing address, and contact numbers, along with information about any chapters or subsidiary offices. You'll also need to cover your area of operation, the estimated number of each type of operation you expect to certify annually and a list of each state in which you currently certify operations. If applicable, your application should also list any foreign country you certify in. The second step is a waiting game. After you submit your application, The Accreditation and International Activities (AIA) Division (AIA Division) processes your application, performing a basic cursory review that will make sure all the required documents were submitted and to make sure you aren't affected by any travel restrictions. Travel restrictions are in place to keep everyone safe and NOP accreditation cannot be issued to any certifying agents that, "Are based in or conduct key activities in areas where the U.S. State Department has issued travel warnings, travel alerts, or other restrictions that could affect the health, safety, or security of Federal employees." If your application is accepted, it's submitted to the Audit, Review, and Compliance Branch (ARC Branch) and a documentation adequacy review (desk review) will be conducted. The desk reviews are meant to evaluate compliance on the part of the applicant before an onsite assessment is granted. If the desk review finds a problem, you'll have a chance to correct it within a given time frame. After a successful desk review, a report is handed over to the AIA Division within 90 days from the receipt of the application package. Then the AIA Division reviews the report, and if everything looks good, they'll schedule an assessment. The onsite assessment (§ 205.508) is used to further verify that a potential certifying agent is not only organic competent but well-prepared to be a working agent. It means the potential agent should have a well-designed and reliable quality system in place, complete with records. The assessment team will look at the work site, key activities, and certification files. Reviews will take longer if you hold more certification files (see part 22 of General Accreditation Policies and Procedures). Final accreditation decisions are made by the AMS Administrator and are based on, "A review of the information submitted in accordance with § 205.506(a)(3), the assessment report, the Accreditation Committee’s recommendations, and any other relevant supporting documentation." Once certified, your accreditation is good for five years, and another on-site assessment is required at the two and half year mark. You should be aware that when you apply, a $500 deposit is due when you submit your application. The fee is applied to agent assessment costs. Beyond the $500 deposit owed at the time of application submission, there are other fees involved with becoming an agent. GVD charges $108 per hour for an on-site assessment, travel to the site, and the writing of the audit report. Hotel, meals, and incidentals, travel expenses, and other miscellaneous costs may also be applicable. According to NOP, the average cost for the documentation adequacy review in 2010 was $4,428. You can find all the updated fee information in § 205.640 and § 205.641 and § 300 and § 301 of 7 CFR Part 62. Locate all the fine details of certifying agent accreditation in Subpart F—Accreditation of Certifying Agents of 7 CFR Section 205 or take a look at the General Accreditation Policies and Procedures. Quiz: Do You Have What it Takes to Be a Computer Programmer?